Jennifer Little can tell you the exact time of her eldest son's birth. She can tell you how much he weighed, down to a fraction of an ounce, how many inches he stretched from crown to toes, what his first cry sounded like and the color of his still-squinting eyes. But she can't tell you who delivered her baby, or her midwife could go to jail. Little had a natural home birth in North Carolina, one of 12 states in which it is still illegal to practice as a direct-entry midwife — a specialist who hasn't trained as a nurse or doctor but instead through apprenticeship or midwifery school — outside of a hospital. Faced with what they see as dwindling natural birth options and the recent closure of Charlotte's only nearby natural birthing center, some local women are choosing under-the-radar home births over conventional obstetric care — and midwives are quietly breaking the law to help them. "I felt that I would have been pushed toward an induction if I had continued to see an OB," says Little, whose son was born two weeks after his due date. "We didn't feel completely comfortable giving birth at home, but we were more comfortable with that than with being pushed into what we thought was an unnecessary intervention." Stand-alone natural birth centers are a middle ground between home and hospital, but Charlotte women lost access to that option when Carolina Community Maternity Center, a birth center just over the state line in Fort Mill, S.C., was shut down by the York County Health Department following the death of an infant during a birth at the center Aug. 29. State regulations stipulate that birth centers must have an on-call doctor within a "reasonable distance." Carolina Community Maternity Center was cited during an unannounced inspection in early August because its only contract at the time was with an obstetrician more than 90 minutes away. A doctor was not called during the labor that ended in the infant's death, according to records obtained by WSOC Charlotte through the Freedom of Information Act following the incident. "My main concern with the birth center was its distance from the nearest hospital," says Kate Baillon, a Charlotte resident who delivered her daughter, now 4, at Carolina Community Maternity Center. 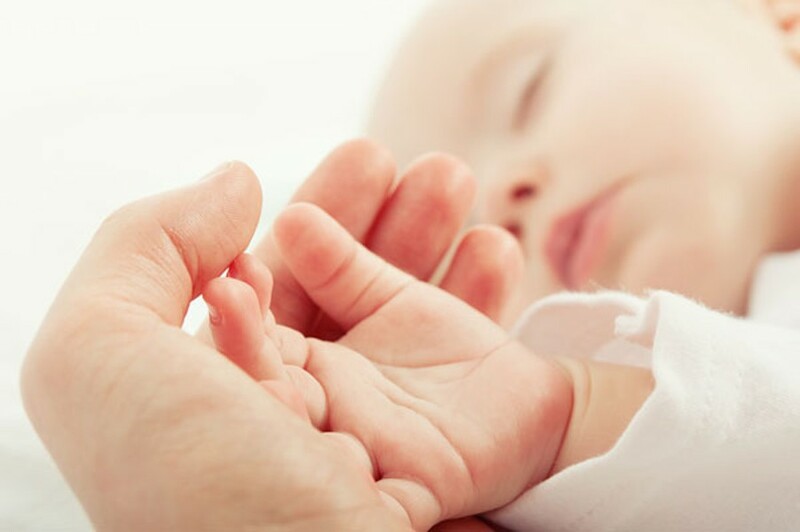 The birth center is about 15 minutes away from Carolinas Medical Center-Pineville, the closest hospital with a fully equipped labor and delivery unit. With the center shuttered as her due date approached with her second child, Baillon chose to give birth at her home in November. "I can give birth wherever I choose," Baillon says firmly. Like Little, Baillon is fiercely protective of her midwife's identity — North Carolina midwife arrests have been made as recently as spring 2013, when unlicensed Asheville midwife Tina Bailey was jailed following the death of an infant she was helping deliver via home birth. But with negative perceptions of natural births arising following incidents like that at Carolina Community Maternity Center, some "rogue" midwives are ready to tentatively break the silence. "Birth is always a life-and-death event," says a midwife who performs "underground" home births in North Carolina and spoke under condition of anonymity. "Babies die sometimes, and it's not always somebody's fault. A perfect outcome is not always possible. But doctors' and hospitals' liability is protected — when it happens in a midwife's care, it's blown out of proportion." Infant mortality in North Carolina rose from 7 infant deaths per 1,000 live hospital births in 2010 to 7.4 deaths per 1,000 births in 2012, according to North Carolina Health News. Stillbirths, however, are not included in that figure, since stillborn babies in North Carolina are issued neither a birth certificate nor a death certificate. The anonymous source is a Certified Professional Midwife — a national certification for independent midwifery practitioners recognized in the 27 states in which it is legal to hire a direct-entry midwife. She qualifies for licensure as a midwife in South Carolina, where home births are legal, but refuses to get her S.C. license because she "wouldn't be able to help N.C. moms" if she were practicing legally over the state line. "The rules and protocols are arbitrary," she says. "If I'm the woman who's told she can't have a home birth, I would have to either go to the hospital against my will or give birth alone at home. Women need other choices. Midwives broke the law for me when I had my children at home, and broke the law for my mother when she had her children at home. This is about helping moms who were treated badly by hospitals before, or who don't want to have a traumatic birth experience in the first place. So many lies are told." But even some midwives think illegally performed home births are inherently more risky. "Every time a midwife is working illegally, there is going to be hesitation about going to a hospital if it becomes necessary," says Joelle Ceremy, a certified midwife who is licensed to attend home births in South Carolina. "Most of these women have kids themselves, so they're concerned about their own freedom." Ceremy says she will not perform home births in North Carolina not only because she fears jail time, but because going rogue limits expectant mothers' access to prenatal care. "If you're doing illegal home births, you can't legally consult with an OB-GYN," Ceremy says, "so you can't do a lot of prenatal testing, and that risks missing big issues." The anonymous midwife, however, doesn't feel screening measures like ultrasounds and blood tests are necessary in all cases and says women are free to seek them out on their own by seeing an obstetrician on the side. This approach frustrates Christopher Morris, a Charlotte obstetrician who says the biggest issue in the natural-birth debate is that "patients and doctors need to communicate better. If there are medical interventions that parents are absolutely opposed to, that's something I would rather ferret out in my office six weeks before the due date. When I'm informing someone that a baby's health is in jeopardy during labor, and they're refusing an intervention, that's a terrible situation to be in." The razor-thin life-and-death line between a normal delivery and an emergency situation divides even natural-birth advocates. "Some people think I'm too quick to go in [to the hospital] with a home birth," says Ceremy. "But I don't wait to go in for help." "I want to try everything first," counters the North Carolina midwife. "If we're going to the hospital I want to have a solid reason, because you're not going to get better care in a hospital." About 7 percent of her home births end in emergency transport to a hospital, and because the North Carolina midwife interviewed for this story cannot legally act in a medical capacity, she is unable to consult with obstetricians once laboring women are transferred to their care. She says she has been threatened and thrown out of hospitals for acting as an advocate to help her patients resist caesarean sections. Ceremy says birth would be safer in North Carolina if home-birth midwifery were decriminalized — a measure that failed to pass the state Senate in May. But the anonymous midwife says that even if North Carolina midwives could be licensed to perform home births, "there would still be an underground" of midwives without state-recognized credentials. "The onus is on the parents to make a good choice for a health-care provider, regardless of arbitrary regulations," she says. For Charlotte women, making that choice without subversive channels could become increasingly difficult. The S.C. Department of Health and Environmental Control's new stringency with doctor-on-call stipulations for birth centers — a move that Ceremy says was "coming down the pipes" before the August death at Carolina Community Maternity Center — could render independent natural birth centers unable to operate. For small, midwife-operated businesses, keeping a local obstetrician on staff or constantly on call is "not practical," says Ceremy. "No OB would do that for free, birth centers can't cover their salaries, and it wouldn't be feasible for a single doctor with another practice to be on call all the time." Carolina Community Center tenuously reopened in late December, but faces challenges from a South Carolina House bill which, if passed during the next legislative session, would require lay midwives to obtain licensure from the Board of Medical Examiners and accept possible limitations on the level of care they may provide. The resulting headlock between legal birth centers and the health department, says the anonymous midwife, has only served to fuel demand — and justification — for underground home birth. "What [Carolina Community Maternity Center's closure] tells us is that jumping through hoops to get legal is not worth it," she says. "We can't work in this system. So we'll continue to quietly work outside of it."